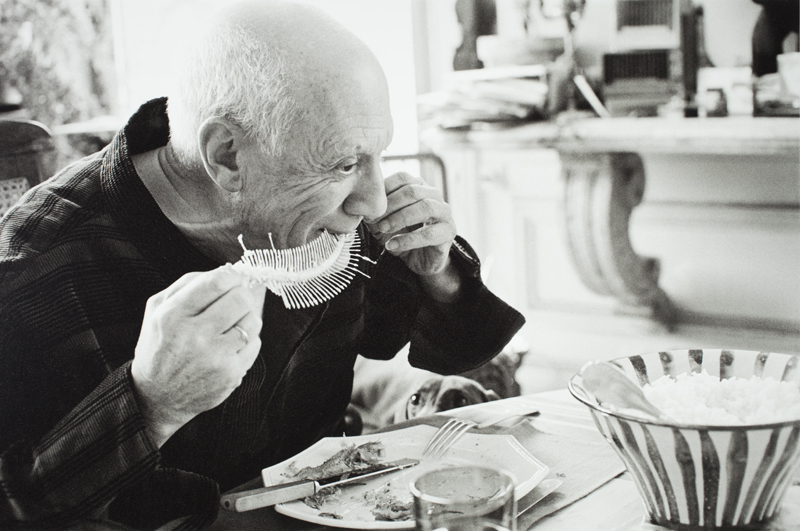 Back in 1964, Pablo Picasso shared with Vogue’s food columnist Ninette Lyon two of his favorite recipes -- one for Eel Stew, the other for Omelette Tortilla Niçoise. If you live in the South of France, as Picasso did, the recipes probably won't be entirely foreign to you. But if you aren't so lucky, you might want to add these recipes, now reprinted by Vogue, to your culinary bucket list. Below, we've highlighted the ingredients for the recipes. But, for step-by-step directions on how to prepare the dishes, head over to Vogue itself. For more recipes from cultural icons -- Hemingway, Tolstoy, Alice B. Toklas, Jane Austen, David Lynch, Miles Davis, etc. -- head to the bottom of this page.